Happy Thanksgiving Hear Are Some Garbage Disposal Tips. Happy Thanksgiving to all hear are some tips if you have a minor problem with your disposal over the holiday.Many people don’t give much thought on a disposal. There are a few things that goes wrong with garbage disposals. The first is if you drop something in it and it jams this is a minor problem and you can unjam it yourself. Underneath the garbage disposal in the center of the unit is a spot to put an Allen key. Insert the Allen key into the garbage disposal and move it left or right. It will be tight if it is jammed and when it is free you will be able to move the Allen key left or right. Then reach into the garbage disposal and pull out the debris that was clogging it. If you have no power there is a little red button under the garbage disposal and you should press this. It will reset the power to the unit. The next thing that goes wrong is the garbage disposal. It leaks from the base, if this is the case your unit will need to be replaced and that means there is a crack in the housing somewhere and cannot be repaired by your Apopka plumber. 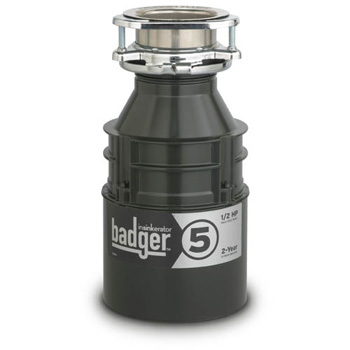 When looking for a disposal they come in a few different features. They have 1/3 horse power, 1/2 horse, 3/4 horse and 1 horse. We at Drain Genie Plumbing suggest getting at least a 1/2 horse or more. The lower the power, the less effective it is to grind the waste and this will cause plumbing backups. The brand we like the best is Badger. If you need a garbage disposal installed or repaired please give Drain Genie Plumbing Services a call at 407-393-0717. We also serve Lake Mary, Orlando, Winter Park, Casselberry, Longwood, Apopka, Maitland, Deltona, Altamonte Springs, Oviedo, Sanford, Winter Springs, and all of Central Florida. Home » Blog » Happy Thanksgiving Hear Are Some Garbage Disposal Tips.